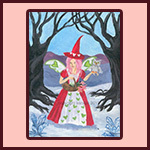 Looking for unique Valentines and dark art? 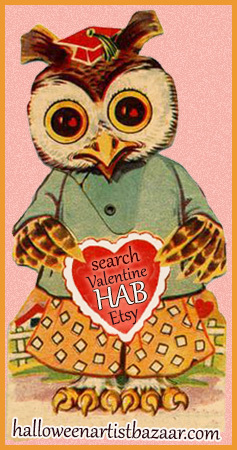 Search HAB Valentine on Etsy, visit HAB artist websites and find handmade Halloween, holiday art and curiosities year round through the HAB shopping catalog! This entry was posted in Art By Sarada, Cards For A Gloomy Day, Chaos In Color, Ghost Gap, Halloween Artist Bazaar, Janis Logsdon Jewelry and Art, Jynxx Designs, Sauvage Raven Creations, The Inky Dreamz Shop, Tocsin Designs, Twilight Faerie, twistedpixelstudio, Wicked Alterations and tagged dark art, Goth jewelry, Gothic Art, handmade, holiday art, spooky art, St. Valentines Day, Valentine's Day by Angelique. Bookmark the permalink.